Smoke damage can be detrimental to your health, causing nausea, headaches, and tempting you to rip out the carpet or tear down the walls for relief! If you’ve experienced even a small fire in your home the last thing you want to deal with is smoke smell. Or perhaps your aunt with the nicotine habit came to visit and now your couch smells like an ashtray. Regardless of the original culprit, the longer those scents are allowed to linger, the harder they can be to eliminate. With the OdorKlenz Source Odor Treatment you can safely neutralize even the most set in smoke smells. Use it on carpet, furniture, even walls to rid your home of that toxic smell. Pets bring joy. They also bring smells. From the dingy dog aroma to spilled kitty litter to… accidents… the animals we love create odors we really don’t. Perfect for either spot cleaning or large area treatment, our liquid will get right to the source, pulling out odors from fibers and fabrics without merely masking them to come back another day. Even stubborn and infamous cat urine will be neutralized with our patented formula. With OdorKlenz Source Treatment you can trust that your home will be fresh and clean despite your furry friend’s biggest messes! New flooring or furniture comes with that factory chemical smell which can also cause headaches or nausea and simply do not provide a hospitable environment for your loved ones! Our Source Odor Treatment is ideal for getting those harmful chemicals out because it doesn’t use any harsh chemicals itself! Our simple, natural formula neutralizes odors and never relies on masking agents so your carpets and furniture will smell just as they should: like nothing at all! The OdorKlenz Source Odor Treatment may also be used with a hot water extractor on large areas, furniture, mattresses, or car interiors. Save money renting an expensive service to remove pernicious odors and keep a jug of OdorKlenz Source Odor Treatment in your cleaning closet. They say not to cry over spilled milk, but if you’ve ever spilled it on carpet or upholstery you know it can be a tear inducing smell. 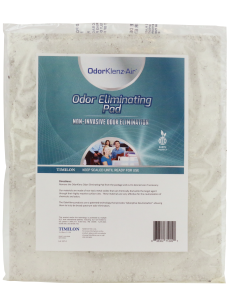 Our daily lives are full of messes and OdorKlenz is passionate about eliminating the odors that come along! Our well loved Source Odor Treatment safely and effectively neutralizes unpleasant aromas in your home, car, or office for odor free living! 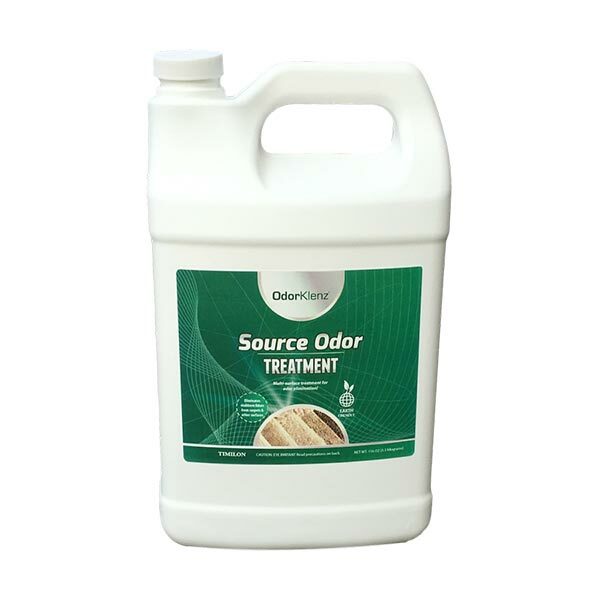 Made from earth minerals with our simple and effective proprietary formula, OdorKlenz Source Odor Treatment neutralizes odors completely without damaging your carpet or upholstery. It is water based so it is safe to use on almost any surface as the non-bleaching, non-abrasive, non-toxic alternative to the market’s harsh chemical products. It did Miracles for me so far so happy I found it. I have used it on the furniture, floors and just bought the Litter box cleaner. Cleaned them out and started new so so far all I can say is thank you Odorklenz. Love this product! I used to remove gas smell from car. Gas can had spilled over and spilled at least a gallon of gas. The smell is completely gone!! Used this on our sailboat mats. Everything on it collects this tough odor and this worked so well for us! I was very surprised how effective it was. OUTSTANDING PRODUCT! I moved into a 12 year old house and did not know what the stink was for 6 months. I painted, sealed, and repainted a total of 5 layers. The smell was still there. Then I used OdorKlenz and the smell went away! I found out that there were rodents living in wall and the infestation created an awful smell that prevented me from staying in the master bedroom for more than a few minutes at a time. I need the OdorKlenz to decontaminate the walls in conjunction with a pest removal service in attic where little critters hung out (or I should say used to hang out). Thanks SOOOOO much to OdorKlenz. It was the alternative to tearing my walls out! This OdorKlenz Source Treatment is GREAT. Just finished cleaning all our wall to wall carpet ~ which is 20 years old. After using OdorKlenz our carpet looks like new !! Plus NO smell. Will definitely buy OdorKlenz again. This took care of the smell in my purse. I am VERY impressed! It does work on all sorts of odors and does eliminate them – pet odors, smoke, basement smell, etc. And I love the fact that the solution is clear. Great product!!! Very satisfied with it as it gets animal smell up right away! We used it to get rid of the chemical smell of a silicone remover in one of our snake cages. It seems to have worked quite well. The product does what it says it will! Odorklenz worked amazing! It got the smell of throw up out of the rug. Which other products that I used couldn’t. Thanks for making a great chemical free product. This product works great on tile! I used this in my shower and it deodorized the entire room. Used this to seriously douse the interior of a super-pet-stinky car that I bought: rugs, seats, headliner, you name it. First heavy application got rid of 80% of the stench. Second application got rid of 90%. So it is very effective. It leaves a white, unscented residue behind that you’ll need to rinse. I have tried several different products to get rid of the cat urine smell in my carpet and this is by far the best product I’ve used. Excellent product! After trying multiple cat urine odor eliminator products, I was ready to give up and started thinking about throwing my couch away. I tried Odor Klenz and was very impressed with its effectiveness against both old and new cat urine stench. I wish someone had told me about his product years ago.It does an excellent job and only requires a couple hours of your time to fully deodorize the entire carpeting in your home. We are very sensitive to fragrances so this product was literally a dream come true. Out of garage. It worked great. I also got the urine klenz. It took all the smell out. I will be ordering this again when I need it. It was the only thing that worked with the urine. Best I have tried. It works great! I have a new puppy and he hasn’t even smelled twice in the area he has had an accident. I really love that it removed the urine and feces smell and best of all there is no smell to it as I can not tolerate fragrances. This is the only product I’ve used that actually removes the odor permanently. most products just hide the odors with perfumes, not this one. Just mad I have to pay shipping.. This is a life saver for anyone who has an older dog. This is the only company that has ever emailed special directions and then a follow-up email. Thank you so much for this excellent product. What is the difference between the OdorKlenz Source and Pet Urine Eliminator? 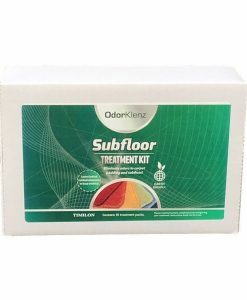 Although both product offer odor elimination capabilities and can be used on pet urine, the OdorKlenz Source Odor Treatment is more of a broad spectrum and the Pet Urine Eliminator is more focused towards the chemistry associated with urine. 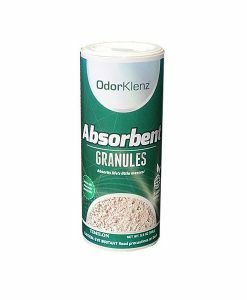 Can the OdorKlenz Source be used in a carpet cleaning machine? Should I dilute this product or can I use it straight onto the source of odors? You can do both! Depending on the severity of the odor and amount of source present, use more concentrated product on heavy/concentrated source and diluted product on mild or odors. We have a best practices sheet that goes into more detail on different situations that we can provide. On what surfaces will the OdorKlenz Source work on? It can work on many surfaces, but typically the best ones are water safe surfaces. Basically, any surface that can get wet, you may apply our technology to. Is the OdorKlenz Source and safe to use around pets? Yes, the product is 100% safe to use around pets and people. What Odors will the OdorKlenz source work on? 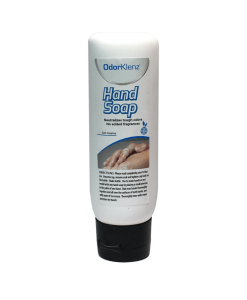 The product has been formulated for broad spectrum odor elimination capabilities. This includes body odors, pet odors, sulfur, acidic compounds, and many more. Can OdorKlenz OdorKlenz Source be used to treat large areas, such as whole rooms? Is this product safe to use on wood flooring and tile? Will this product stain my carpet? No, the product will not stain carpet, but we do recommend you try the product first in a small inconspicuous area to check for ease of removal first. The product may leave a little bit of white residue on first removal, but with subsequent vacuuming or extraction it will fully come out. How does this compare to an enzyme cleaner? Enzymes are proteins designed to attack a specific chemistry. They need to remain wet, often for a long period of time to work assuming the chemistry is a match. Our product is designed to work against a broad spectrum of odors. Since most odors are a variety of chemistries, broad spectrum products are going to be much more effective than enzymes which work in a narrower range. Can this be used on walls? Yes, the product can be used on water safe walls. We recommend you try it in a small area first to check ease of removal first. Surfaces with tiny cracks and crevasses or a texture can be more difficult to remove the product from. Can I use this product to eliminate odors inside of my car? Absolutely! The OdorKlenz Source Odor Treatment can be used on a variety of car interior surfaces. We recommend you try it in a small area first to check ease of removal first. Surfaces with tiny cracks and crevasses or a texture can be more difficult to remove the product from. We suggest having a hand water extractor tool to make the job easier.